Not all used car dealers are created equal. While it may not be the easiest thing for buyers to hear, it is certainly a fact that is worth keeping in mind as you embark on your next car shopping journey. Used car dealers are a dime a dozen here in New York state, and while some are skating by with bare minimum customer service and low-quality inventory – Used Cars at DePaula Chevrolet is setting a higher standard for car buyers in the pre-owned market. Used Cars at DePaula Chevrolet is proud to be a top choice for car shoppers here in the Albany area, and we strive to set an example every day for how other used dealerships should operate. The first step to providing an exceptional used car buying experience is to treat our customers the same way we would treat our own family. Here at DePaula – you are our family. Owned and operated by the same team who brought you other dealerships under the reputable DePaula name, Used Cars at DePaula Chevrolet specializes solely in the pre-owned vehicle market. We seek out great used cars, trucks, and SUVs from various automotive manufacturers, and bring them here to our dealership for you to check out yourself. Buying a used car can be a great opportunity for buyers who are on a budget to get more car, for much less. Often, buyers look down at the prospect of purchasing a used vehicle because they fear that the risk of the unknown is simply too high. At some used car dealers, this fear is entirely founded and should be taken into consideration during a vehicle purchase. The mistake that so many people make, however, is that they dismiss the notion of purchasing a used car altogether. They confuse a poor dealer experience with the entire used car marketplace and end up missing out on the opportunity to own a reliable pre-owned car, for less. Rather than make the same mistake of so many past car shoppers, consider the fact that where you buy your used car, is just as important as the used car itself. A dealership that doesn’t have your back if things go south after a purchase might as well sell you a used car without brakes. While it seems great in the beginning, your dud of a car will eventually have to stop, and by the time you realize the problem, it will be too late. 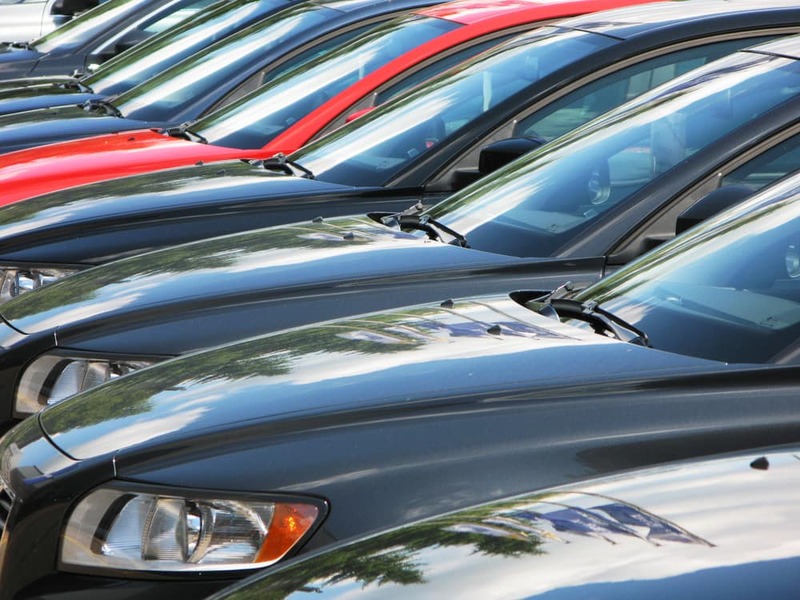 Some used car dealerships are so focused on obtaining as many used cars as possible to sell that they drop the ball when it comes to quality control. When you purchase a used car with Used Cars at DePaula Chevrolet, you will be able to rest easy knowing that your vehicle came from a dealership that not only chooses the highest quality pre-owned cars but backs every vehicle sold, wholeheartedly. We understand that every car buyer has a different set of needs and desires when it comes to their used vehicle purchase, which is why Used Cars at DePaula Chevrolet takes the time to get to know our customers and help them find the perfect pre-owned car to fit their lifestyle. Used Cars at DePaula Chevrolet has been a reliable used car dealership here in Albany, NY for years – and our exceptional reputation did not happen by accident. Every morning when we open the doors to our showroom, the Used Cars at DePaula Chevrolet team values the needs and desires of our customers over our own bottom line. We would rather see you leave here happy, without a new-to-you vehicle, then drive off of our lot in a car you don’t love. Body Style: Do you need a vehicle with extra passenger capacity, or are you looking for a commuter car that will mostly be utilized solo? Consider your daily routine, and what you want out of your used car, before settling on a particular vehicle segment. Must-Haves: For some drivers, advanced safety technology is a must-have in their used car, while others regard a touchscreen display with reliable connectivity as a must-have feature. The bottom line is that no two buyers have the same list of features and amenities that they must have in their next car. You certainly don’t have to list everything out, but be sure to know which features are non-negotiable, and which ones are. Budget: Unless you have endless disposable income or recently won the lottery, then you likely have a strict budget that you have to adhere to for your used car purchase. Be sure to take a careful and in-depth look at your financial situation prior to heading to a dealership so that you have a better idea of what you can and cannot afford. Drivers who embark on a car buying journey without having a budget in mind tend to purchase vehicles outside of what they can afford. Know your number, and stick to it no matter what. With Used Cars at DePaula Chevrolet, our sales team will always listen to your concerns and respect your budget. While other used car dealers prey on unsuspecting shoppers who haven’t yet settled on a budget, Used Cars at DePaula Chevrolet will never sell you a vehicle you can’t afford to buy. We will work with you, your budget, and your must-haves, in order to find you a car, truck, or SUV that you have been dreaming of for so long. You worked hard to come up with the money to buy your car, and you continue to work hard in order to make your on-time monthly payments. Don’t trust shady used car lots with one of the largest purchase decisions of your life; instead, protect your hard earned money by shopping with Used Cars at DePaula Chevrolet. Used Cars at DePaula Chevrolet is the number one choice for Albany, NY residents to purchase quality pre-owned cars. We work hard to provide buyers with an extensive inventory that includes options from nearly every automotive manufacturer on the market. From Chevy, Ford, Honda, to BMW – Used Cars at DePaula Chevrolet has the used vehicle you want, at a great low price. Be sure to keep up with our online inventory, which is constantly updated to reflect what we have here on our lot. If at any time you don’t see the vehicle you are looking for, be sure to give us a call, or come down to see us in person. Our inventory is constantly changing in order to meet the needs of our customers, so if we don’t have it in stock today, there is good chance we will have it tomorrow. Don’t trust your used car purchase to any old dealership – come down to Used Cars at DePaula Chevrolet for the most reputable used car dealership in all of New York. We hope to see you very soon.